My daughter bought me a tea cup "set" for my birthday recently, OK yesterday. 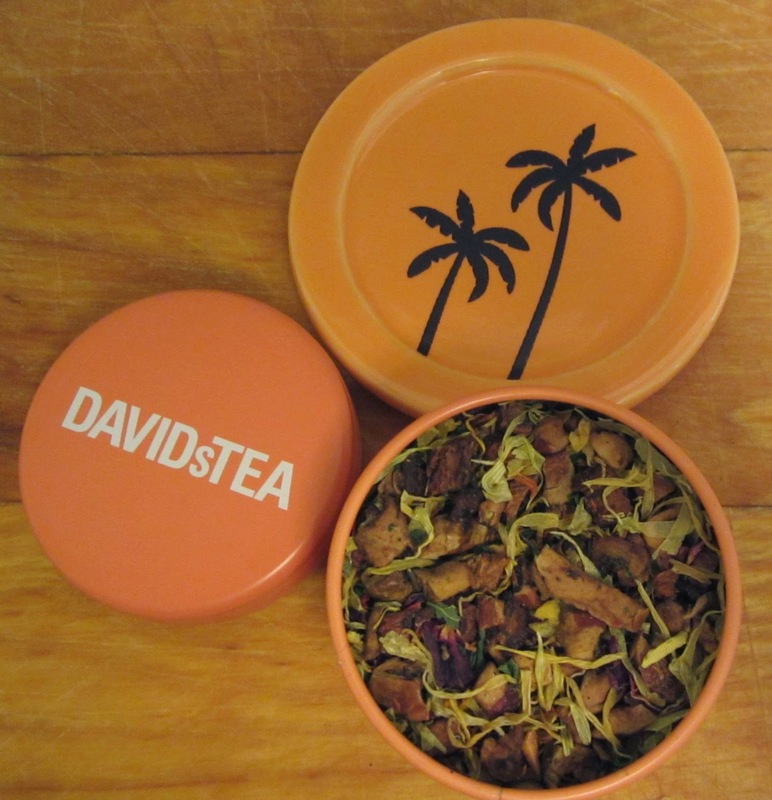 The boxed gift was from David's Teas and it's just lovely. It also came with a specialty tea called "Midsummer Night's Dream" - what could be more perfect. If the name sounds magical the ingredients are even more so - apple, gooseberries, spearmint, marigold blossoms, safflower petals, and rose petals - too lovely for words!! The tall orange mug comes with an infuser. Add a teaspoon of the the above dream mix to the stainless steel sieve, pour in boiling water, wait for a moment and the scene changes!! 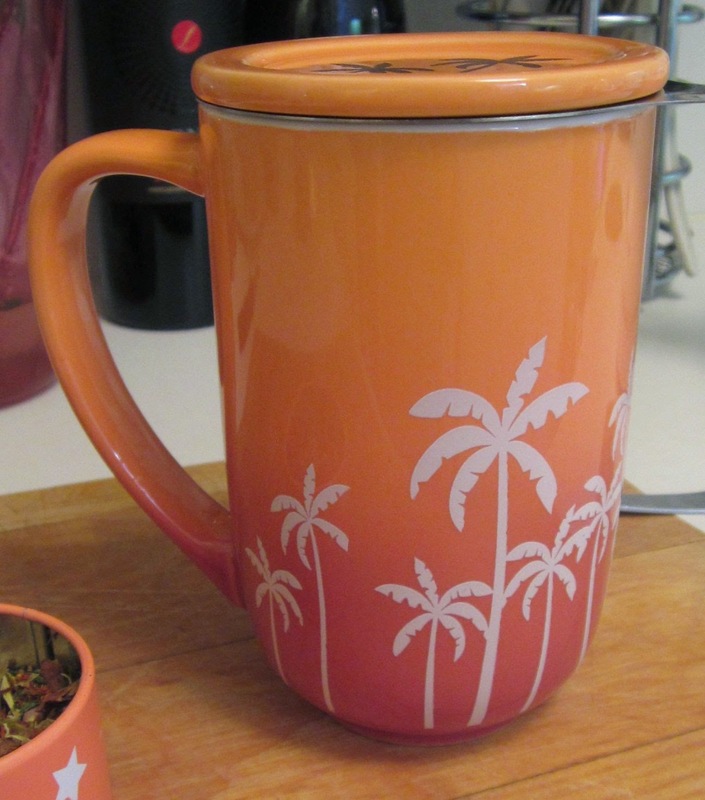 The lovely palm trees on the mug fade from black to silver. Tatiana should be so lucky!! Or put it to music! Not quite the ingredients of the tea, but close.